This job reference letter is for an employee who has been laid off. In addition to giving reasons for the layoff or retrenchment, it provides a strong recommendation for future employment. 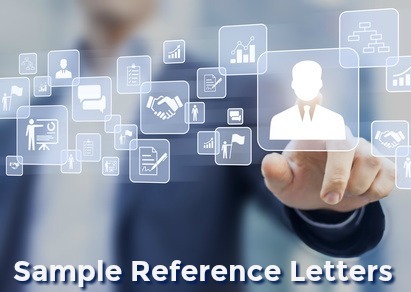 This type of reference letter can be difficult to write. Get help with how to write a reference that is valid, reliable and positive for an employee who has undergone the lay off process. Different circumstances require different types of job references. If you are looking for general sample reference letters go here. John Smith has been employed by ABC Company from May 2015 to June 2018 as a Call Center Agent. He reported directly to me, the Call Center Manager, during this period. His duties included responding to customer inquiries and providing customers with product information. He also processed orders and followed up with customers. He performed these functions expertly with both commitment and enthusiasm. I can recommend John for his strong communication skills, his excellent organizational ability and his attention to detail. He was able to successfully use his initiative and good judgment in dealing with customers and always stayed calm under pressure. It is unfortunate that due to current economic constraints the company has had to restructure its call center function and lose valued employees such as John. I can confidently recommend John as a call center or customer service agent to any prospective employer and I wish him all the best in his job search. If you have any additional questions please do not hesitate to contact me. Make use of this sample letter to provide a positive job reference after a layoff.